Benefit | Will You Miss Me When I'm Gone? If you’re feeling nostalgic for the ’80s, consider spending this Saturday night in Nyack dancing to the decade’s hits spun by DJ Vision Quest (Kiam Records founder Jennifer O’Connor) and helping fund the Rockland Pride center while your doing it? Participants are encouraged — but not required — to dress to the decade and bring their best dance moves, whether it’s the Moonwalk, the Hammer Dance, the Running Man, or maybe the Lambada. The Kiam Records Shop is co-hosting an the 80s prom at the Nyack Center to benefit the new Rockland Pride Center, an LGBT organization that promotes a social-justice and anti-racist agenda. It provides services for people of all ages, including support groups, senior care, youth group drop-ins, educational resources, and mental health care. All proceeds raised from the ‘80s PROM will help fund the new Rockland Pride Center opening this fall. Aside from the boss’ DJ talents —she’s taking requests and dedications! — Kiam Records is also providing a $200 gift certificate for the downtown Nyack shop. All ticket holders will be entered into a raffle for that prize. Everyone 21 or older is welcome to the party at the Nyack Center, on South Broadway at Depew St., Nyack. The party starts at 8 p.m. Saturday, May 20, and the beat goes on until midnight. Get your tickets ($25-$100) in advance online by going HERE or at the door. Either way, you’ll be helping the community — and having a great time, too. The Washington Squares: Tom Goodkind, Lauren Agnelli, and Bruce Jay Paskow, who died in 1994. Lach, the mononymic artist at the center of the New York City Antifolk scene in the East Village for many years, is unable to tour and in financial straits because he’s caring for his family full time while his wife undergoes treatment for metastatic breast cancer. 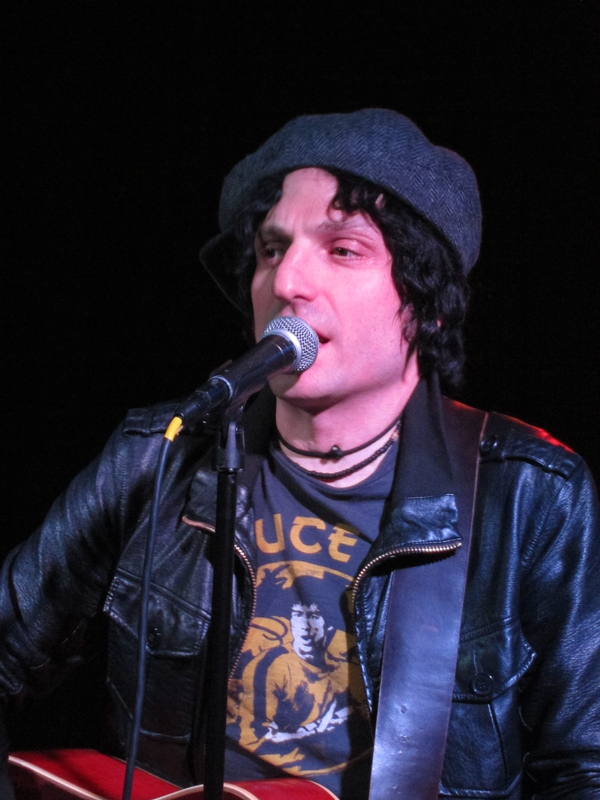 While Lach long ago moved to Scotland, he’s still well remembered at the Sidewalk Café, at 94 Avenue A (212-473-7373), , where his club, The Fort, held weekly Antihoot open mic sessions. Those sessions helped inspire and launch a host of folk-based artists, including Rockland County’s own Jamie Block (who, like Lach, chose to perform in his early days under a single name: Block), Regina Spektor, Hamell on Trial, the Moldy Peaches, Nellie McKay, Jeffrey Lewis, Diane Cluck, and Michelle Shocked, and Block. Some of those artists are coming together Thursday night, Feb. 9, in a benefit show to raise money for Lach and his family in Edinburgh. Lach’s misfortune has presented an opportunity for a reunion of one of the most beloved neo-folk acts of the late 20th century: The Washington Squares, a Greenwich Village vocal trio that adopted the look of the Beat generation and sang timeless songs of protest and hope with panache and sincerity in the 1980s and 1990s. Admission is FREE, but there will be plenty of opportunity to kick some cash into the basket for Lach and his family. The benefit show is Night 3 of the four-night Winter Antifolk Fest 2017, which runs from Tuesday through Friday. 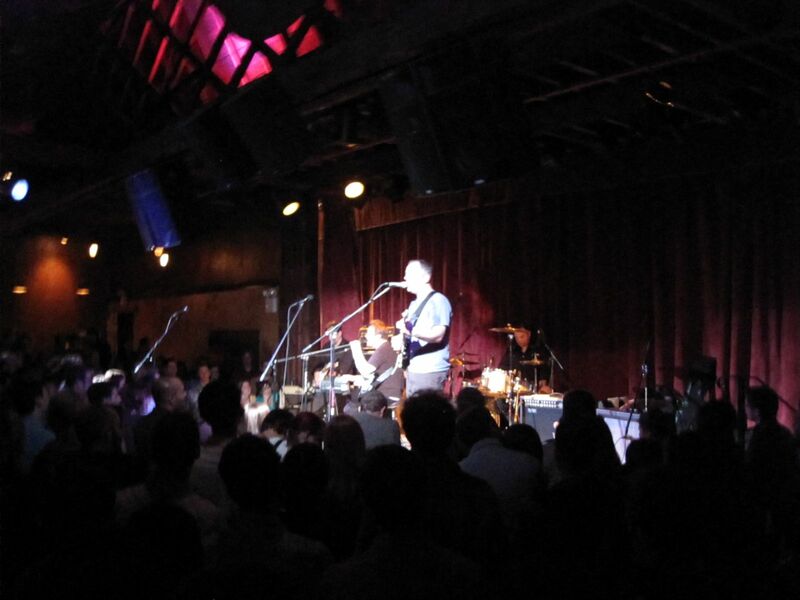 While, Michelle Shocked, who’s slated to perform at 9:30, is arguably the biggest name on the bill, the Squares reunion is the biggest news to come out in advance of the event. The neo-Beatnik folk revival Washington Squares started in 1883, about the same time as Antifolk was beginning to coalesce. The Squares played countless concerts in clubs and at festivals until calling it quits on July 28, 1994, after a gig at the legendary Bottom Line in Greenwich Village. The band simply couldn’t keep going after co-founder Bruce Jay Paskow died earlier that year. The Washington Squares Facebook page has been active lately, apparently in anticipation of a new album of vintage tracks released before Christmas. Lauren Agnelli and Tom Goodkind, the other founders behind the group that recorded songs like “New Generation,” “Greenback Dollar,” “Fourth Day of July,” and “D Train,” have finally decided to soldier on without Paskow. While the classic image of The Squares is as a trio with guitars and black-and-white Beatnik outfits, famed Television drummer Billy Ficca (now a member of Heroes of Toolik) also was part of the band. If you think animated movies are just for kids, think again and be sure to check out “The Little Prince,” a beautifully animated retelling of Antoine de Saint-Exupéry’s beloved illustrated novella, brought to the silver screen by “Kung Fu Panda” director Mark Osborne. Osborne, who lives in Hastings-on-Hudson, New York, may have made his mark in Hollywood with the Jack Black-voiced panda in 2008, but he’s deeply devoted to his latest project, which hits theaters March 18 after a special preview event at the Jacob Burns Film Center in Pleasantville, New York, on Sunday, March 6. He tells me that he’s eager to make sure adults see the film, which took him 5 1/2 years to make, because it’s for them as well as their children and grandchildren. Osborne spend some time talking to me about the project — a family affair that involved at one time or another his wife, Kim, and their children, Maddie and Riley — the other day. Go here to read the interview on lohud.com, or pick up a copy of The Journal News on Wednesday. 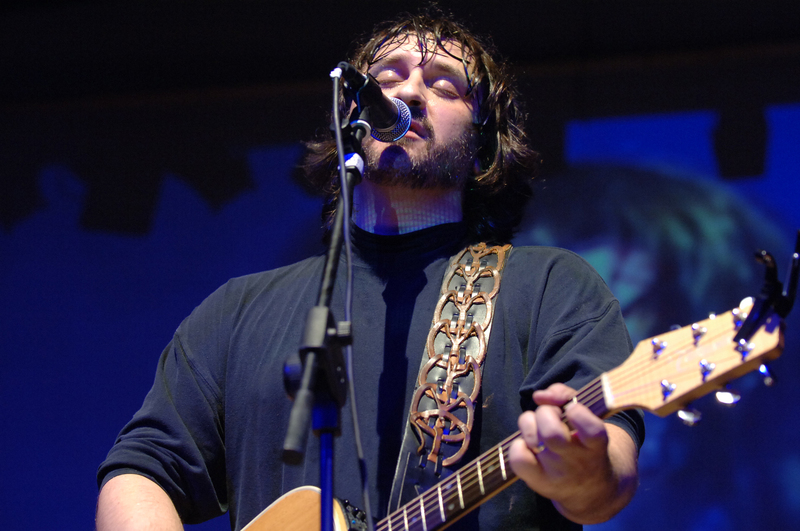 Rockland County-born rocker Joe D’Urso is celebrating his 50th birthday this month by taking over the German Masonic Park in his hometown of Tappan, N.Y., all day Sunday and throwing a music festival featuring his musician friends. The result is the Rockland-Bergen Music Festival, with gates opening at 11 a.m. , with music starting at 11:30 a.m. and running nonstop through 7:15 p.m.
It’s the first festival of its kind in the Rockland County area in my memory. It should be a blast. The sun is shining and it’s a beautiful day at this point, an hour before the music starts. 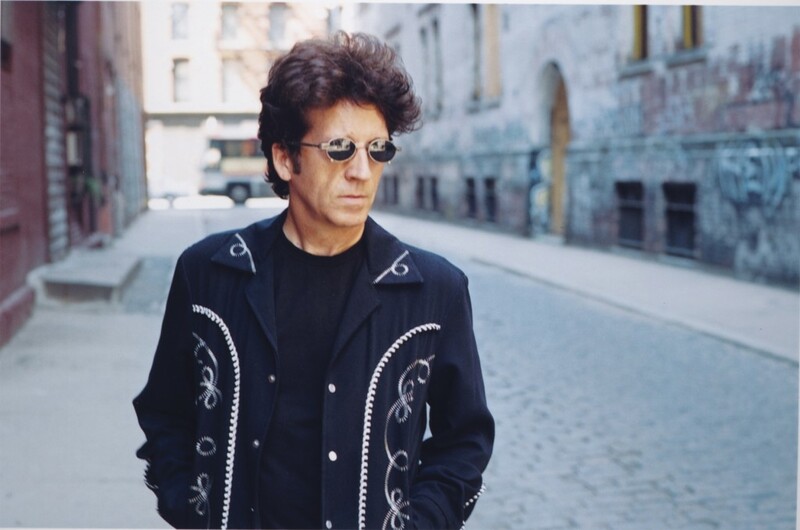 The festival brings together in my backyard a bunch of artists that I’d happily go to New York City to see play separately: Willie Nile, Marshall Crenshaw, Joe D’Urso & Stone Caravan, Jesse Malin, John Eddie, Piermont’s Tom Chapin and many, many more. But here you don’t have to travel as far, pay outrageous parking charges, or deal with all the hassles of a drive into the city. And with a family-friendly vibe and tickets priced at $50 (free for anyone 12 or younger, and for anyone born in 1964) at the gate, you can afford to bring the kids and introduce them to some of your favorite musicians without breaking the bank. I interviewed D’Urso and Nile for a preview in The Journal News/lohud.com. Tap or click here to see what they have to say and find out more about the festival. Where: Rockland-Bergen Music Festival, German Masonic Park, 120 Western Highway, Tappan, N.Y. When: 11 a.m.-7:15 p.m., Sunday, June 29; rain or shine. Tickets: $50 at the gate; 12 and under free; free for anyone born in 1964 with driver’s license proof. 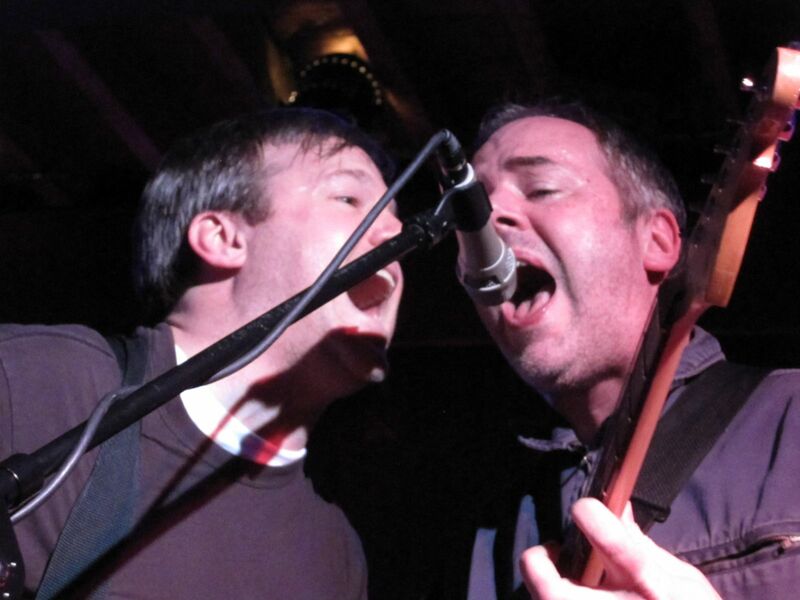 It must be the apocalypse: The Wrens (2 of them, anyway) are doing a show! But Charles “Pedal Boy” Bissell is deep into production on the followup album, and promises it’s nearly finished. 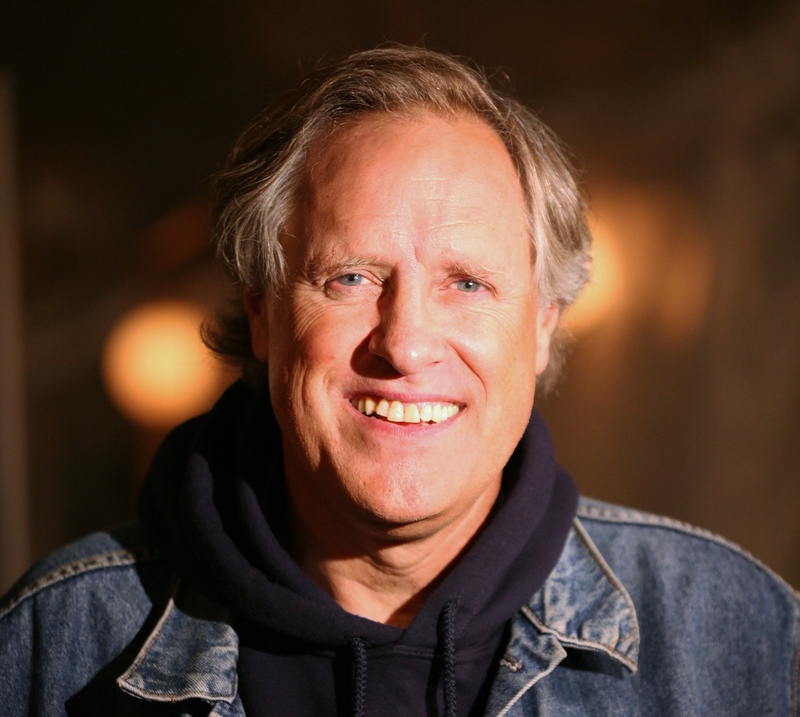 Tom Chapin headlines rocking Sandy fundraiser for Piermont TONIGHT! When the doors open at 7 o’clock tonight at The Turning Point, the venerable music club in Piermont, there will be a greater sense of urgency and community than ever inside. A slew of local favorites, including Tom Chapin, a longtime Piermont resident, will rock out starting at 7:30 p.m. to raise money to help get the village back on its feet in the wake of Superstorm Sandy. The Old No. 7 Band, Joe Grunfeld from the Riley Etheridge Band, Becky Deloatch and Billy Procida are also on the schedule. And other guests and favorites are sure to show up and join in. Tickets are just $25, and available here and at the door. Bring extra cash for a 50/50 raffle, too. 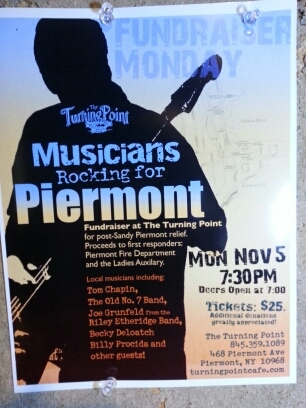 The Turning Point is at 468 Piermont Ave. in the heart of Piermont. Call (845) 359-1089 or click here for more information. It’ll be a lot of fun and will help a really worthwhile cause. 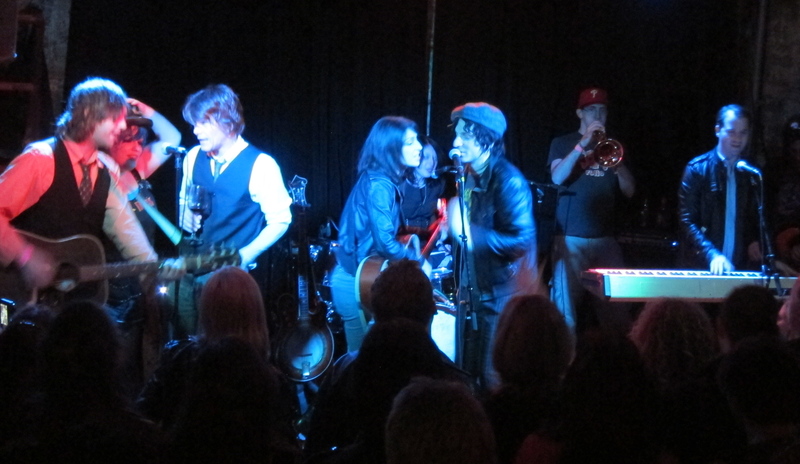 The first night of the two-night Benefit for Lucinda’s Kids was a great night of almost 7 hours of entertainment on Sunday, April 29 at The Bowery Electric, with a great crowd and a fantastic lineup of artists, including Marah, Jesse Malin, Jimmy Gnecco, Willie Nile (who almost missed the show because of a delayed flight from Chicago), Jim Boggia, Aaron Lee Tasjan, Michelle Casillas (Ursa Minor), Mystie and more. As of Sunday night, there were still tickets left for the second night of the benefit to raise money for the trust fund that will benefit the two teenagers left behind when their mom, super music fan Lucinda Gallagher, committed suicide last December. Monday, April 30, doors at 7 p.m.
Tickets are $20 and available here. And here’s what you missed on Sunday. Many, many more photos after the jump.